This recipe is super easy and so yummy. The sauce is kind of addicting and perfect served over rice. This will for sure become a regular week night meal. 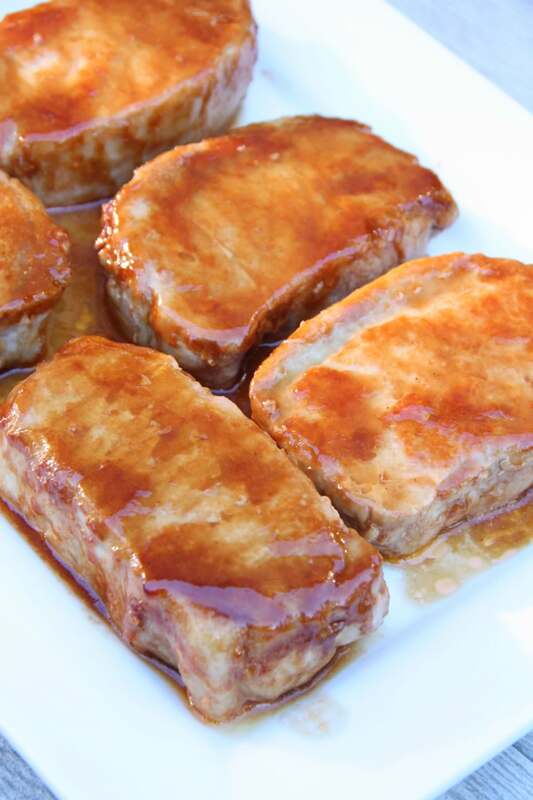 I used thick cut boneless pork chops for this recipe and they turned out perfectly moist and juicy on the inside, but this recipe can certainly be adapted for bone-in pork chops or a thinner cut chop. You will just need to adjust the time you cook them. 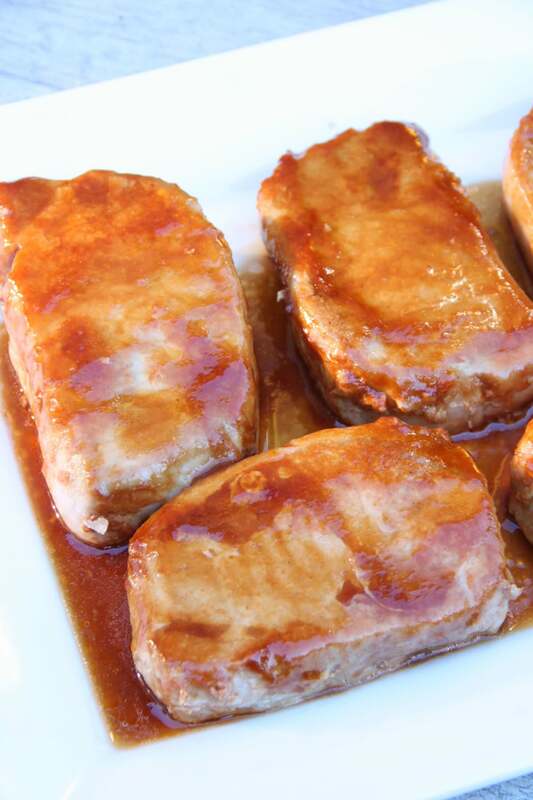 In a small bowl, whisk together soy sauce, Worcestershire sauce, vegetable oil, brown sugar and ketchup. 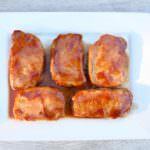 Place pork chops in a 9x13 baking dish and spread with 1/2 the sauce. Cover with tin foil and bake in preheated oven for 30 minutes. Remove tin foil, tun pork chops and spread with remaining sauce. Continue baking for 20 minutes or until internal temperature of the chops has reached 145 degrees F. Depending on the thickness of your chops you may need 5-10 more minutes of cooking time.